Part VI : What we actually know about Fitzpatrick. Is this Fitzpatrick in 1894? 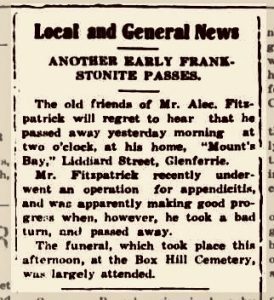 However this series of Blog posts searching for the truth about Constable Alexander Fitzpatrick is almost at an end, and thanks to the discussions about him here and on Facebook pages, so also is the story that’s been told about him for 140 years. 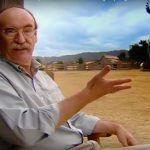 What these discussions and the ground-breaking research of authors Ian MacFarlane and Stuart Dawson have revealed over the last five years, is that the Kelly claims about Fitzpatrick, like the ones quoted above, are mostly false. 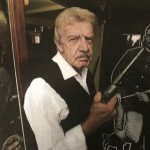 Consequently, in similar fashion to Ian Jones who, in 1967 delivered a lecture called “A new view of Ned Kelly”, the time is rapidly approaching when it will be time to deliver “A new view of Alexander Fitzpatrick’. The ‘old view’ is no longer tenable. They claim Fitzpatrick was a womaniser. This is because when he was engaged to the woman he would eventually marry – and stay married to until his death – he was paying maintenance for a child borne out of a previous failed relationship, a relationship about which we know absolutely nothing. But he seems to have dealt with it honourably. Some claim he had some sort of sexual interest in Kate Kelly, aged 14, and made some sort of improper advance toward her on April 15th1878. 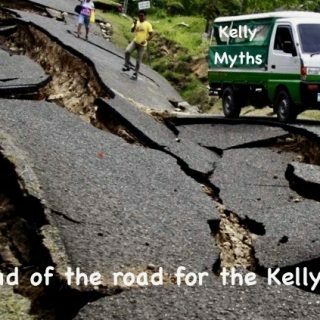 The only evidence for such a thing again is the evidence of known liars, the Kellys. 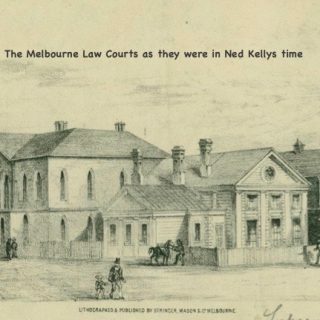 Fitzpatrick denied it and even Ned Kelly didn’t believe the story about him interfering with Kate. Kate herself at first said it didn’t happen, then changed her mind and said it did, and described circumstances that were inconsistent with the testimony everyone else gave about it. 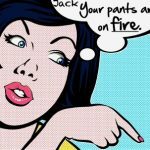 The moralising about Fitzpatrick’s relationships that comes from the Kelly camp is deeply hypocritical, given not only their known propensity to tell lies, but their own innumerable documented immoralities and sexual indiscretions, a topic no Kelly apologist would want to touch with a forty-foot barge pole, such is the sleaze such an investigation would reveal. There is nothing known about Fitzpatrick’s private life that suggests anything much out of the ordinary – despite the mud thrown and the duplicitous stance of Kelly supporters. They claim he was a notorious liar and denounced Fitzpatricks testimony about the incident at the Kelly home that Fitzpatrick became embroiled in, as lies. However, his testimony has been examined in forensic detail by Stuart Dawson and found to be remarkably consistent. His version of what happened never changed. There is no reason to disbelieve it. However, when the Kellys stories are examined in similar forensic detail, the Kellys are the ones whose story repeatedly changed and their testimony can easily be shown to be riddled with lies and inconsistencies. 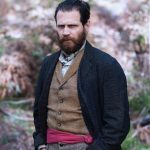 Even the Kelly fanatics favourite Kelly author, Ian Jones concluded that Ned Kelly lied about what happened. Mrs Kelly lied about it, so did her daughter Kate, and so did her son Jim. These are demonstrable lies, not hopeful allegations. But Fitzpatrick, though till now burdened with the endlessly repeated labels of liar and perjurer was never once accused of lying or perjury while a policeman, let alone convicted. Not once. What a sickening irony that the proven serial liar and thief is held up as an Aussie icon, and Fitzpatrick’s memory is trashed. Perhaps the meanest and most horrid lie told by the Kellys about Fitzpatrick is that he was an alcoholic. They claim he always had a problem with drink, was drunk when he came to arrest Dan and that he died from cirrhosis of the liver. Oddly enough this claim, about being drunk on arrival at the Kellys place is not made by Ned Kelly in his descriptions of the ‘incident’. Also odd, as we learned in our discussions, is that though the police force had harsh rules in relation to policemen drinking and frequenting pubs, Fitzpatrick openly spoke of his visit to the hotel at Winton and consumption of one brandy and lemonade refreshment on his way to the Kellys. One would have expected a liar and an alcoholic who didn’t want to be sacked to keep very quiet about going to a pub while on Duty and getting drunk– but Constable Fitzpatrick was never charged then or at any other time with any drink related indiscretions. Not once. And yet so determined were some in the police to pin something on him that they finally got him for laughing after lights out in the hospital, and for arriving at work 15 minutes late. That was about the best they could do. The fact that nobody ever mentioned a drinking problem amongst all the correspondence about him and his behaviour strongly mitigates against him having one. A recent suggestion by Kelly fanatics in denial about Fitzpatrick’s sobriety, that the reason he never appeared to be drunk is because, being an alcoholic, he had massive tolerance to the stuff is an argument that is beyond absurd. But it illustrates the extremes to which Kelly fanatics go back then and now in their attempts to maintain and find justification for their hatred of Fitzpatrick. The irony of course is that in contrast to the imagined alcoholism of Fitzpatrick there are innumerable frightful examples in the Kelly story of alcoholism wreaking havoc on them all, beginning with Neds own father Red Kelly. The claim Fitzparicks death was from cirrhosis of the liver – alcoholic liver damage – is false. I have no idea why Justin Corfield wrote in his Kelly encyclopaedia that Fitzpatrick died of cirrhosis, because his death certificate clearly states he died from disseminated sarcoma of the liver which was invading his stomach and giving rise to ascites, in common with most abdominal malignancies. There is no known relationship between sarcoma of the liver and alcoholism. 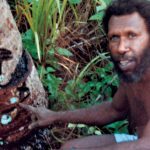 Kelly sympathisers of course claim to know better than medical science and the opinion of the doctor who did the autopsy and wrote out the death certificate, and continue to claim, in the absence of even one supporting fact that he DID have cirrhosis and he WAS an alcoholic because he had ascites.! The presence of ascites is fully explained by the disseminated sarcoma, and contrary to the desperate Kelly fanatics claim is not an indication of cirrhosis. Lastly we come to a couple of sad incidents in later life after his police career was over, that saw Fitzpatrick before the courts. In 1883 he and another bloke were fined for swearing and for breaking a window in a pub. The Fitzpatrick haters see this as additional proof of his dissolute alcoholic lifestyle, but he wasn’t charged with being drunk and disorderly, and though it mentions they didn’t want to pay for their drinks it doesn’t actually say he was drunk. Exactly what caused the disturbance is not clear. In 1894 someone called Alexander Fitzpatrick went to gaol for ten months for passing valueless checks. There are discrepancies in what is recorded about this Fitzpatrick – for example that he was single – that suggest to some people that this may have been a different Fitzpatrick. We discussed this at length three years ago on this Blog, but I see no reason to deny it may well have been the ex-constable. But neither do I see these two incidents as confirmation of anything other than that Fitzpatrick’s life after the Outbreak was not straightforward. He mentioned the difficulties that being sacked created for himself and his new family – he may well have become an angry and bitter man who had difficulty controlling his anger. Nowadays we might discover he had post-traumatic stress disorder, or depression. What I think is entirely unjustified though is to weaponize these incidents against Fitzpatrick’s unblemished record from years earlier as a young Policeman, and claim they prove all the innuendo and lies that were spread about him back them must be true after all. The claims against him need to be justified by evidence from the same time, not by ‘evidence’ dragged back from the future. So who exactly was he? That’s another discussion altogether – and we will have it soon. Hi Dee, only one quibble, where you say "so determined were some in the police to pin something on him that they finally got him for laughing after lights out in the hospital", that sounds far too conspiracy theory to me. The police hospital was a highly regulated environment. He was pinged 5 shillings for laughing after lights out. Hardly a major disturbance, but against regs, and so bad luck, he was fined for it. Nothing in that suggests that anyone was out to get him, surely! It is a total non-event that has been seized upon by Kelly enthusiasts looking for anything to smear Fitzpatrick with, and is utterly irrelevant to the Kelly outbreak. If anyone could be bothered they could pick a random sample of 50 police Records of Service from the same year and doubtless find an assortment of minor infractions. Talk about mountains out of mole-hills! That's like saying someone got a parking ticket so the authorities were out to ping them. I'm pleased that was your only quibble Stuart! I dont like that word 'conspiracy' but theres no doubt when he got back from Sydney he was under very close scrutiny and it was written somewhere that if he infringed again he would be sacked. Hi Dee, what we have from his Record of Service is the comment re after his return from Sydney is, "Const. Fitzpatrick while on duty in Sydney conducted himself in a most unsatisfactory manner. He was lazy, neglectful of his duty, and associated with improper characters. In fact his whole conduct drew down the animadversion of the Inspector General of Police and was calculated to bring discredit on the Victoria Police. The constable is warned that the next time he is reported for serious misconduct he will be dismissed from the Police Force. F. Standish, CCP. M5157. 25/5/1879." And from 27/7/1879, "Making a disturbance in hospital. Rept. Sgt. Barry. Plea: Guilty. Fined 5/-." He was transferred to Lancefield on 17/9/1879. Then the next year, "Discharged from the force this 27th day of April 1880. For general misbehaviour as a constable." More important to the above from Fitzpatrick's Record of Service, we have in date order first, his appointment to the police on 20/4/1977, then transfer to the Ovens district [Benalla] on 31/7/1877. The next entry undated is transfer from Benalla to Beechworth. Then 15/3/1878, "A young member of the force, likely to prove a useful man. Brooke Smith, Inspector, Ovens District.". Next, 2 months after the Kelly house incident, 22/6/1878, "I have had but little opportunity of judging of this constable's efficiency. He is steady, but wants experience. Transferred as not being required. Supt. N.E. District Benalla." The transfer date is marked "No longer required in district." The transfer was from Beechworth to Depot, where he was moved for his own safety as noted on another file. These are the only entries in his Record of Service until 14/3/1879, when we see the first negative comment in his Record, "Temp'y in Sydney NSW: Neglect of duty in not attending at the arrival of the early trains, when specially told off for this purpose. Insp. Wager. Plea: guilty; reprimanded. CCP. M3043 27/3/79." 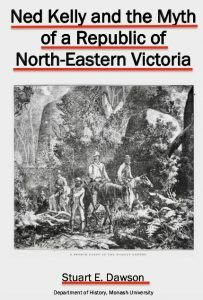 In the period between these entries the Muster Rolls show him back in the North East with search parties, until he was sent to NSW to watch for the Kellys around February 1879. In other words there is nothing negative anywhere on his Record of Conduct and Service before his posting to NSW in 1879. Those who hold that Fitzpatrick was a bad apple throughout his employment are functionally illiterate.